Paderborn vs Bayern München – Tuesday, February 6, 17:30GMT/18:30CET – Benteler Arena, Paderborn, Germany. 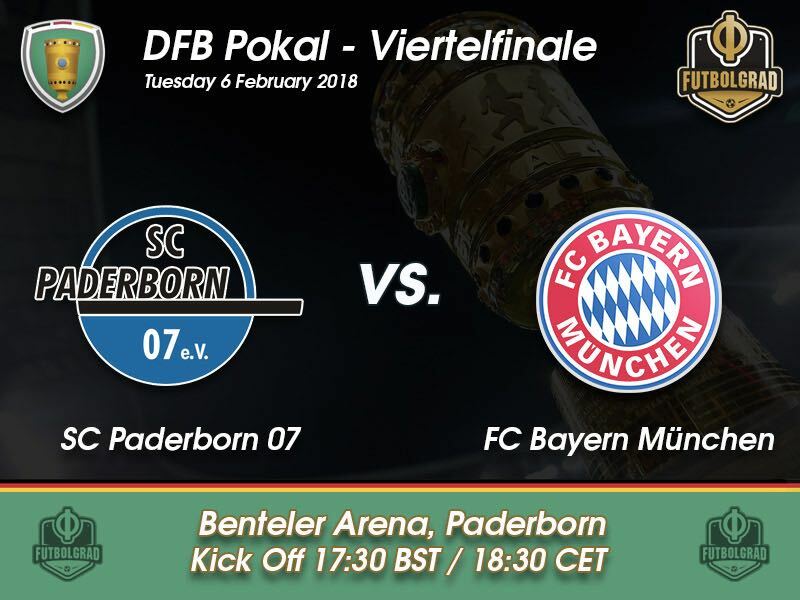 The quarterfinals of the DFB Pokal kick off on Tuesday night with Paderborn hosting Bayern München at home at the Benteler Arena. 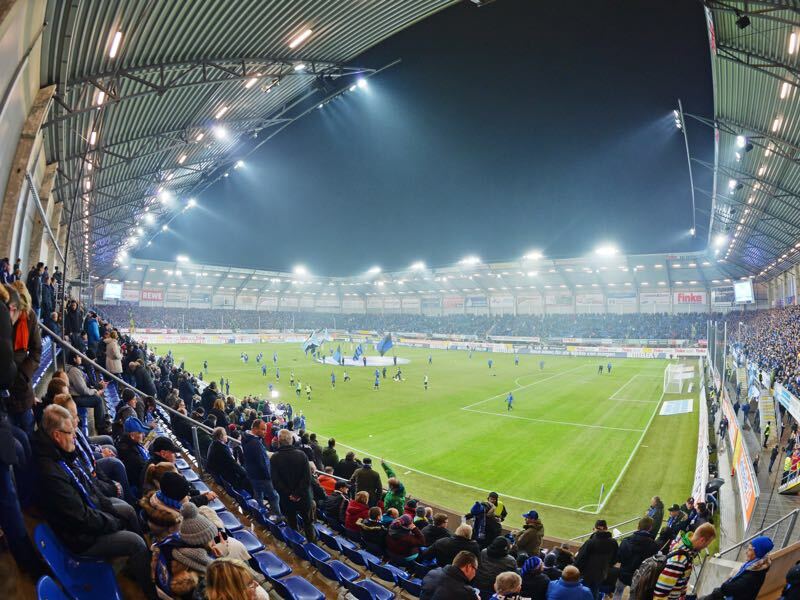 The location of the Benteler Arena amidst a residential area means that the DFB allotted this game the early kickoff time and that the clash of the only non-Bundesliga team left in the competition against the biggest club in Germany will not be broadcasted nationwide on free television. Although it almost has the tradition to see Bayern involved in games broadcasted on the public station ARD at this stage it would be a major surprise if this game turns into a nail-biter. The gulf between Bayern, who are dominating the Bundesliga at will at the moment and the Liga 3 side Paderborn merely is too vast. That is not to say that Paderborn are not a good side. Quite the contrary after almost making history last season in becoming the first side to be straight relegated from the Bundesliga to the Regionalliga—they were saved after 1860 lost their licence to play in Liga 3—Paderborn have completely overturned their fortunes. After 23 games in Liga 3, the side currently sits in first place four points ahead of 1.FC Magdeburg and eight points ahead of Wehen Wiesbaden. Promotion to Bundesliga 2 could therefore very well be in the cards at the end of the season. But despite the excellent form Bayern München are too much of a well-oiled machine at the moment to slip up against a team from the lower divisions. Head coach Jupp Heynckes has his side play efficient football that gets the results matchday after matchday. The ultimate goal, it appears, is to repeat the feats from 2013 where the club won the treble. Bayern are therefore expected to field their best eleven on Tuesday and simply move on to the semifinals of the German cup competition. The 27-year-old forward Sven Michel is one of the main reasons that Paderborn have come back from the brink. The striker, who was signed from Energie Cottbus in the summer of 2016, has scored ten goals and nine assists in 23 Liga 3 games. He has also added a goal and an assist in three DFB Pokal games. A flexible forward Michel can play up front, but also as a false-nine or a winger. James was the best player of the 2014 FIFA World Cup has struggled to emulate his dazzling performances on the biggest stage over the last few years. Signed by Real Madrid from AS Monaco immediately following the 2014 World Cup in Brazil James never got the creative freedom at Real to make the next step. As a result, a loan-to-buy move followed last summer to Bayern. At first it, however, appeared that James did not fit with Bayern’s style of play and it took a coaching change from Carlo Ancelotti to Heynckes to get the best out of the midfielder. In 15 games he has now scored four goals and six assists, and it is now almost a certainty that Bayern will make a move from Real a permanent one. Furthermore, with the World Cup in Russia just around the corner James is once again expected to become a great star on the biggest stage. 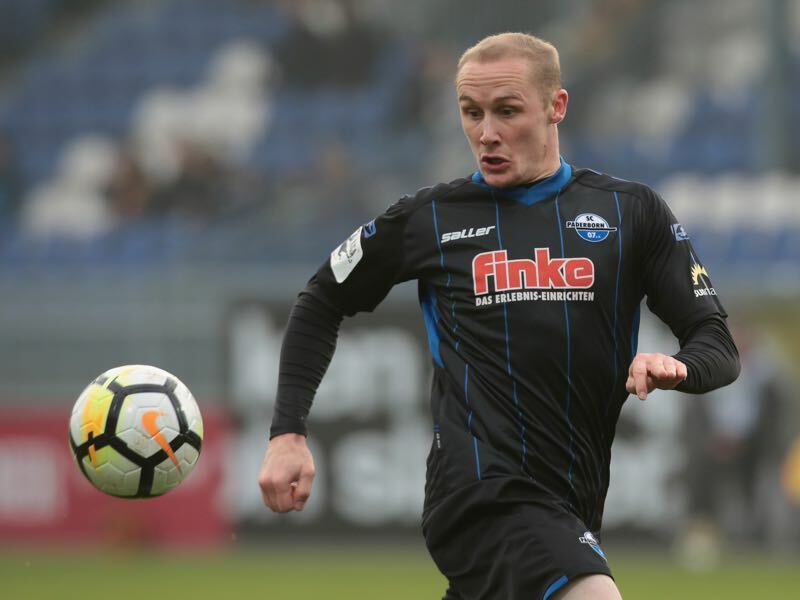 Paderborn almost became the first team to achieve three straight relegations from the Bundesliga to the Regionalliga, but were saved at the last minute last season thanks to 1860 München failing to obtain a Liga 3 licence. During the 2014-15 Bundesliga season, Bayern beat Paderborn 0-6 in Paderborn and 4-0 at home. Bayern are still undefeated in 2018.